A self-releasing 4-piece Indie Dream Pop band from Portsmouth, Flowvers formed in 2016. These four 16 and 17 year old mates take inspiration from the sound of the late 80's & 90’s all the way through to current artists. Influences include The Stone Roses, Ride and The Cure. Today we’re adding the music video for ‘Long Way Home’ to the Big Screen which is the follow up single to their debut 100k streamed ‘Fresh Air’. Radio support comes from BBC Introducing and Radio X’s John Kennedy, Amazing Radio & ROTD Aug 15th with the track making Spotify New Music Friday. The boys will be performing at Icebreaker Festival at the Wedgewood Rooms on Saturday, 26 January between 8.30 PM - 9:00 PM. The new music video will be shown daily on the Big Screen starting today. 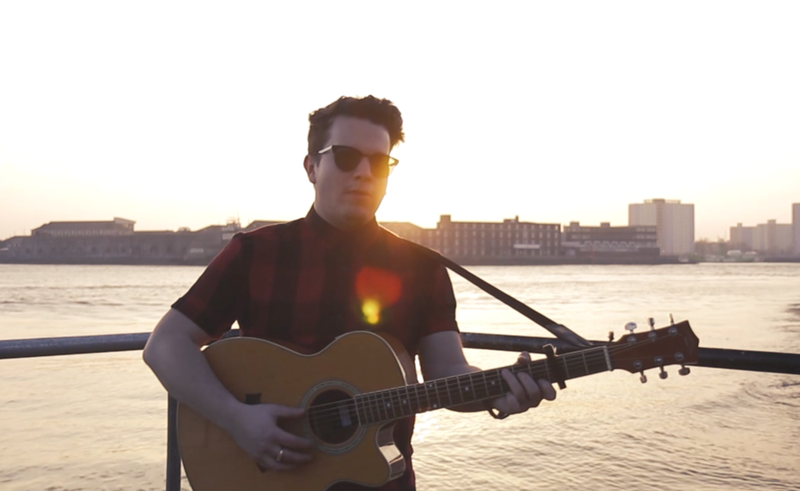 Another new music video has been added to the Big Screen today from Portsmouth performer, Marley Blandford. The Victorious Festival performer has previously had his song “A Shooting Star Ain’t A Sign Of Love” played on the screen and so we’re delighted to announce that we’re can add, “Hiraeth” starting today as you pass through the square. The new song and video will play in the daily content slots on the Big Screen from today. If you’re a local musician with a music video you want to showcase, then follow the upload links above and submit your videos for review today! New Music Video Added From "The Stayawakes"
A fantastic new music video by Devin-Jade has been added onto the Big Screen. Mark Handley Adds New Music Video "Pompey Princess"